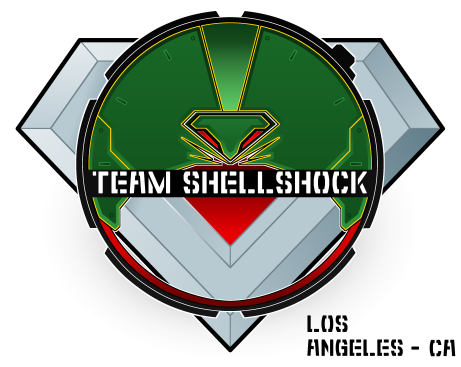 Team Shellshock is a competitive team based in Los Angeles, California. We double as a set of hosts for regular LA tournaments. The team functions to give a title to our group and coordinate our efforts, as well as to expand the community of Bladers in LA and mentor individuals in order to promote more A-class competitors in the LA scene. Team Shellshock is currently restricted to Los Angeles, if an additional member were to be added they must be able to attend LA tournaments regularly. We are a competitive team, therefore a new member must fill a particular role or display competitive prowess. 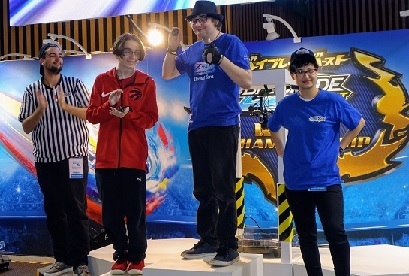 Although Team Format has come to a near halt, Team Shellshock acts as a representative for California, as we travel with one another and compete, Team Format or not. As of now there is no intent for us to form alliances with other teams, it is mostly pointless in a competitive climate. Real great thread, sort of overkill hah. I hope Los Angeles can get a Plastic-format tournament going soon too. I will likely remove that one, it was mostly just filler so that there could at least be three tabs under team details, in time I want to replace it with something more important. (Oct. 18, 2016 5:46 PM)Kai-V Wrote: Real great thread, sort of overkill hah. I hope Los Angeles can get a Plastic-format tournament going soon too. There should be a Plastics tournament next month, I plan to host it before the end of the year. This is a very cool team. Also the opening post looks absolutely fantastic. If I may ask why have you chosen the name Shellshock? Love the post! Looks very pro! I'm thinking of adding bio under each team member. Like we can each write our own just to give a background of our experience in Beyblade. Perhaps make it a spoiler so it doesn't take up much space. Love this! Best of wishes! (Oct. 19, 2016 3:49 PM)TL14 Wrote: This is a very cool team. Also the opening post looks absolutely fantastic. If I may ask why have you chosen the name Shellshock? Symbolism, mostly. "Shell" is a term used in Beyblade occasionally, it most likely has some reference to Beigoma being originally made from real shells packed with a lead shot and sand, Shell Killers was the Japanese name for Bladesharks, other uses were things like Proto-Shell (Japanese Draciel S) and Round Shell MS. Shell shock is also a condition in warfare, so the primary shape of the logo is meant to resemble a helmet, it's also just meant to look like a tortoise. There are other Beyblade related symbols strewn about the logo. (Oct. 19, 2016 10:37 PM)JoJo [Jp0t] Wrote: Love the post! Looks very pro! I will send all of you a PM about it. Symbolism, mostly. "Shell" is a term used in Beyblade occasionally, it most likely has some reference to Beigoma being originally made from real shells packed with a lead shot and sand, Shell Killers was the Japanese name for Bladesharks, other uses were things like Proto-Shell (Japanese Draciel S) and Round Shell MS. Shell shock is also a condition from prolonged warfare, so the primary shape of the logo is meant to resemble a helmet, but it's also just meant to look like a tortoise. There are other Beyblade related symbols strewn about the logo. REALLY ,JUST REALLY. i find this a bit unfair,i had a team for almost a year and i have only myself. yet you guys set up a team,leaving me in the dust. And before you tell me to add my brothers,they don't want to join a team. It is up to you to forge your own members, there are other bladers that attend these events, you can likely find other members who are not your brothers. Nobody is leaving you in the dust, there were no plans between you and any of our team members, no agreement was broken, so I don't see what you are getting at. If you want to continue this conversation, take it to a PM. HuntingCheetahz, teams are teams: getting picked over someone else is something you should be used to since dodgeball team choices back in primary school. And in any case, sometimes it is just a matter of a group being better friends, not even about disliking the other person. Obviously this thread got a lot of attention, which does not help the sour feeling, but there is almost assuredly no offense meant toward you or anyone left out of the team. Guys it's ok,it just hurt my feelings a bit. Also at the point when making the rant I was smelling black licorice,which that smell aggravates me. Hey guys I wanna join. Pm me and I'll tell you what I can do. Ya' know, being in LA really limits you. People like me in the IE might want to join, but can't, because of the LA restriction. Maybe you guys should read the thread before asking to join and stuff, because it's been mentioned multiple times that we're currently not looking for new members. And not sure if anyone new who doesn't know me knows, but I'm from the IE and have run tournaments in Fontana twice in the past.